Mass Hip Hop: Mixtape: Big Kurt "The Serious Business Mixtape Vol. 2 'The Last Word-bender'"
Mixtape: Big Kurt "The Serious Business Mixtape Vol. 2 'The Last Word-bender'"
Mr. Peter Parker & Producerboyz present Big Kurt The Serious Business Mixtape Vol. 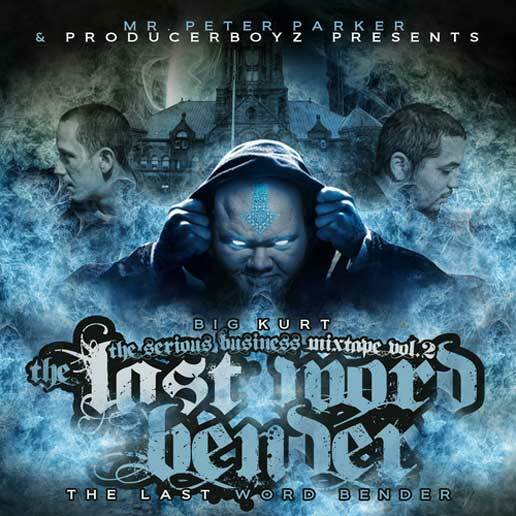 2 "The Last Wordbender" featuring Edo G, Hu$h, Reef The Lost Cauze, Tj Hicky, JL, Esoteric, & Akrobatik.